Landscape Use: Small rounded amenity (sour fruit!) tree for mesic landscapes design themes. Form & Character: Evergreen tree with a rounded, formal shape. Growth Habit: Moderate growth rate to 20 feet with equal spread. Foliage/Texture: Glabrous, dark green, elliptic to ovate leaves winged petioles, 3 to 4 inches long; medium coarse texture. Flowers & Fruits: Flowers are fragrant, cream white, on auxiliary meristems, fruit are rounded and orange when ripe. Seasonal Color: Flowers in late February to early March. Fruit ripen from October to May depending on the cultivar. Light: Full sun to partial shade though western Phoenix sun will scald the trunk unless shaded or painted with white latex paint to protect against direct insolation. Soil: Tolerant, but will show micronutrient deficiency symptoms when grown in soils with high pH. Watering: Frequent, regular water is a must. Pruning: Seasonal heading back to promote a rounded canopy. Be extremely careful about crown raising citrus as they are HIGHLY prone to trunk sunscald injury caused by direct exposure to insolation. Propagation: Seed, grafting, budding, stem cuttings. 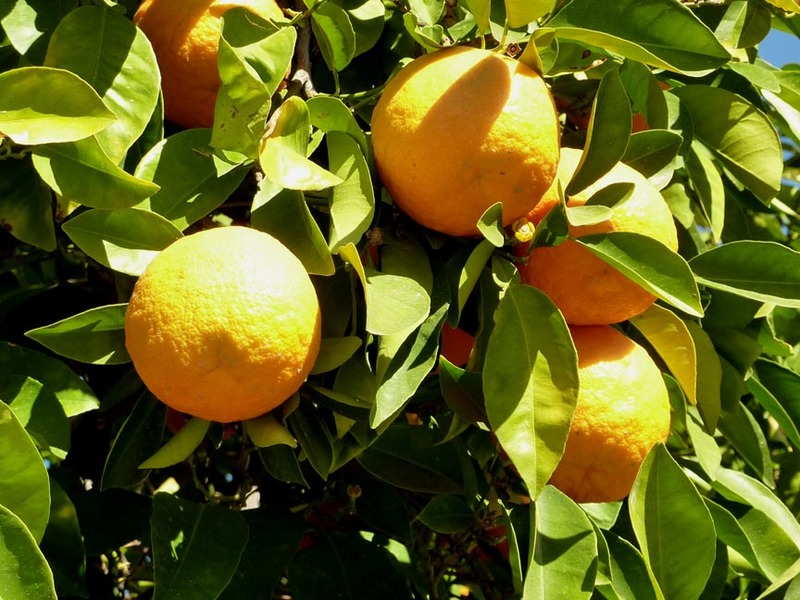 Sour orange has traditionally been used by commercial citrus growers as a rootstock for other eatable citrus varieties; however, recent concerns about the spread of the tristeza virus has caused it to be stopped being used as such. Disease and pests: Many diseases and pests inflect citrus most notably is quick decline, or Tristeza disease which afflicts sour orange. Additional comments: Sour orange cultivars include 'Bouquet de Fleurs' (compact), 'Bergamot' (especially sour) 'Chinotto' (compact), Sanguinelli', and 'Seville'. Though the fruit endosperm of sour orange is quite sour, it is often used to make marmalades, sauces, liqueurs, drinks, and candies. In central Arizona, all citrus require regular applications of supplemental fertilizers consisting of nitrogen and chelated micronutrients. 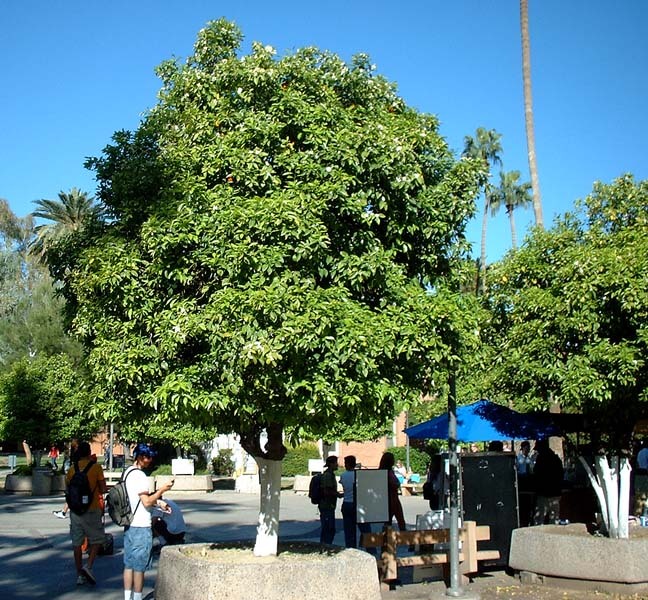 The many sour orange trees on the ASU Tempe campus were transplanted there during the 1980's from land that is now part of the ASU Research Park, but was once the ASU Horticultural Research Farm.